Linda joined Dr. Fritz’s practice on Day One, and over the years she’s established very strong relationships…not only with Dr. Fritz but also with Dr. Fritz’s staff and patients. Linda is the only medical assistant ever to work with Dr. Fritz in Dr. Fritz’s private practice. Amazing. 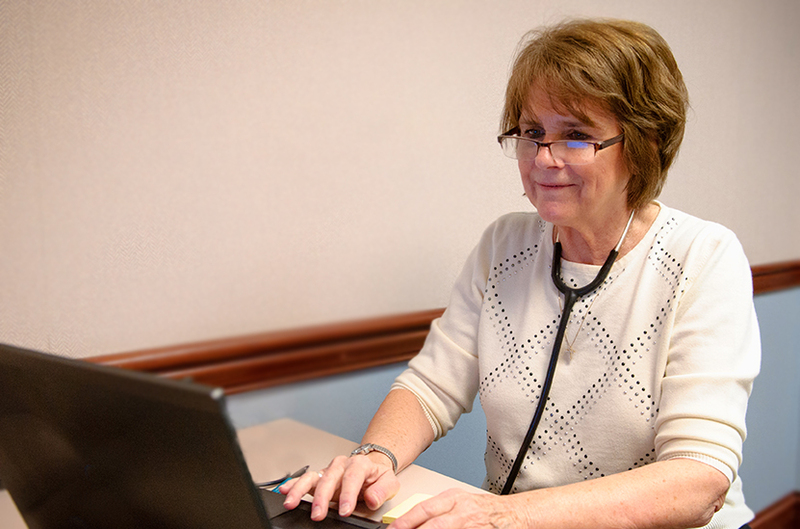 Hands-on patient care is Linda’s favorite part of her work. She particularly enjoys watching as Dr. Fritz’s patients return for follow-up appointments feeling better—she loves their increased animation, how they walk and move with more ease. When patients tell her how much better they feel, it makes Linda’s day, and she takes great joy in the fact that new rheumatology treatments increasingly help people feel better more quickly. When she’s not enjoying her patients in the office, you can find Linda at the gym sweating it out on the elliptical trainer, practicing yoga, doing strength training, swimming in the pool, or relaxing in the hot tub. Not only does she enjoy exercising her body, Linda also enjoys exercising her mind and her spirit—she reads voraciously, particularly about her church, history of all kinds, and science…especially astronomy. The universe awes her. As does her faith. Frankly, Linda finds the awe in a lot of wonderful things, not the least of which is her family: her grandchildren, her children, her husband, her two cats, and her dog.